Visited Mill Road garage to get traction control and abs problem diagnosed. They managed to fit me in to repair it the next day, along with a courtesy car to get me home. Work completed at agreed price very quickly. Helpful staff especially the lady who looks after the garage. Very good service. Would definitely recommend. As a female travelling with a friend en route to a holiday, miles away from home, to see the engine management system warning light come on filled me with dread. On a Friday afternoon my husband contacted Mill Road Garage and explained our problem and they very kindly said that if we got it to them, they would look at it and if possible, fix it so we could carry on to our holiday destination . As good as their word, they looked at it and gave us some options however ultimately, it needed major work and we decided to leave it with then. This put me in a bit of a pickle as to what we were going to do but without any asking, the lovely Lisa offered us a courtesy car which ment we could carry on to our destination. True to their word, they fixed the car and it was ready for collection on the Tuesday. The service was brilliant and the staff just lovely, we could not have hoped for better. Our car ran like a dream and the courtesy car only cost us £5 for insurance and replacement fuel. This could have been a bit of a nightmare but because of the staff at Mill St. Garage it all went very well and a big thank you to them if they read this. "First Class, very friendly, very experienced, a garage you know you can trust to sort your car problems with "
After being taken for a ride by another garage who just thought replace this, replace that at your cost would eventually fix the problem. One phone call to Jason who understood fully my issues, and a visit today has totally fixed my car. I will be coming here in the future and tell as many people I know about this garage. Thank you guy's, I now have my car back. The best garage I've ever used by a mile, very reasonable price,had quotes from other places for same work, way over what mill road charged and I was very impressed by the staff there. Communication was also excellent. I will now not use any other garage. I took my partner's '03 Audi A4 Cabriolet in for a major service last week. The final price was a fraction less than I was quoted and the advice of extra work that would be needed in the future was a breath of fresh air. Normally this advice is followed by a disclaimer stating that I should do the work now or the car will probably stop tomorrow! I will definitely use this garage again and can recommend them to anyone that needs to break away from main dealer service tariffs. "Outstanding miles above the rest"
My lifeline Polo broke down and they were sooo helpful. All of the team, particularly Lisa were just exceptional. They were honest, upfront and didn't, dare I say it, take advantage of a lone woman-massive brownie points. They repaired the fault so efficiently and the icing on the cake was the price I paid was below the original price quoted. I will not use anyone else in the future. Huge congratulations for surpassing my expectations and outstanding customer service. Decided to use this garage based on the feedback from this site. Not disappointed. Service and MOT done without fuss and reasonable price. I must have driven past the road they are in dozens of times not realising they were there. Glad I found them! Cambelt and water pump changed at its 100k service. There's no ups and downs at this garage, it's the same professional service every time. This is the 6th service there. Cheaper than main dealer, recommended for any VAG owner. "If they say it needs doing, it does; if it doesn't need doing, they won't waste your money; this is our experience over 20 years." Over 20 years, and 4 Volkswagens, between the two of us, our unbroken experience is of a very efficient, prompt service. The owner and staff are always professional, knowledgeable, and courteous; we trust them 100%. They always let you know what needs doing, the cost, and always phone when the car is ready for collection. We recommend wholeheartedly to all VAG owners. "High quality service at a fair price"
I have been using Mill Road Garage for about 10 years and have always found them knowledgeable, friendly and efficient. All work on my 2 Audis has been carried out to a high standard and I have never been disappointed. I know I can trust them to only undertake necessary work and this, combined with their reasonable rates must have saved me a lot of cash over the years. The provision of a loan car from their small fleet of vehicles makes visits very simple to arrange. Keep up the good work, Mill Road Garage ... Highly Recommended. "Great Little local Garage - Customer focused - Competitive Pricing "
Took car for checking after main dealer suggested some repairs to suspension bushes, which would have cost me £540. Recent Mot advisory suggested that rear discs and pads needed replacing - Main Dealer price circa £270. Mill Ride Garage checked the bushes and confirmed that they were fully serviceable and did not require replacement and replaced the discs and pads for circa £70 less than the main Dealer! Staff were helpful and informative and even put the car back on the ramp to explain how they checked the bushes. I will be unlikely to return to the main Dealer any time soon, and Mill Road Garage will be the main beneficiaries !!! As a business we started using Mill Road Garage for our work vehicles over 20 years ago. The quality of service was extremely high which is why, as a family, we then started using them for our private cars as well. We have continued to use them ever since and we have always experienced friendly, professional, reliable service. It gives us huge peace of mind to know that in an emergency they will always help out and get us on the road quickly with either a courtesy car or a repair. Thank you Mill Road Garage for all your excellent work over such a long time. Very much appreciated. I went to Mill Road Garage for the first time after reading the reviews on honest john and being recommended by a friend. So happy I have finally found a garage that lives up to their reviews , excellent service and very reasonable price , The staff kept me updated throughout the day and I will definitely be back next year for my annual service. Would recommend any other Audi driver to use this garage. "Very efficient and professional - never been disappointed by charges. " Not over-endowed with glass and chrome. It is a real garage. Very friendly and courteous - and helpful. Will advise on expected costs upfront and contact you if any extras appear. Have been with them for several years and do not ask any more. They do what is necessary and charge a fair price. Cannot fault them for anything. "Great service, good price, they know what they're doing, they're efficient, & have courtesy cars avaliable." Would recommend this garage for the proffessional service they offer. They make me feel confident that they know what they're doing. They're an Audi specialist so they probably fix cars like mine all day. When they service it, if they notice anything else that needs doing, I know they will ring me with a price first, so I can say yes or no to the work being done. While my car is at the gagare it's so handy to have a courtesy car to use. "Honest, helpful and great value for money"
"Knowledgeable specialists with friendly service"
I took my Golf IV TDI for a minor service and was pleased to find a fleet of Polos available for a nominal fee. They called with advisories and I was able to choose those I wanted them to take care of, and what the implications of leaving those I didn't (e.g. CV boot and rear discs were fine but did not need immediate attention). This family outfit has been about for years, I since discovered, and I found them after parking next to a car in a remote, beach car park in Cornwall, of all places. I gave them a punt on that basis and was very pleased I did - I'd go back, and I'd encourage anyone to do the same. "Professional VAG specialist. Quality work at a competitive price." I brought my secondhand Skoda to them soon after buying, as it was due for a full service. They were reasonably priced, cheaper than several other VAG specialist estimates. Service was professional and attentive to detail, with clear discussion of any work to be performed and costs, with no pressure to change half-worn parts, only an estimate given of how many more miles I would get out of them. Although I entered it for only a service, they called to inform me that the rear brake discs would not pass MOT, but they would wait for me to come before touching anything. Upon inspection they were extensively rusted, so work approved and because this would take a couple hours longer than expected, i asked for and was immediately issued with a courtesy car. They had asked upon booking if I needed one allocated, but at the time I declined, so high marks to them for accommodating my need. I will happily bring the car back to them for any further repairs and servicing. 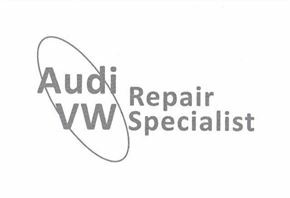 "Professional VW/Audi independent service centre"
Not used these for a while since selling my Audi but I'd go straight back if I bought another - Avoid high Main dealer prices - Take your VW or Audi here - book soon enough and you can get a courtesy car too..